The tester is designed and manufactured according to YY0336 " Sterile vaginal speculum for single use". it consists of PLC, touch screen , distance measuring unit. force measuring unit .etc. 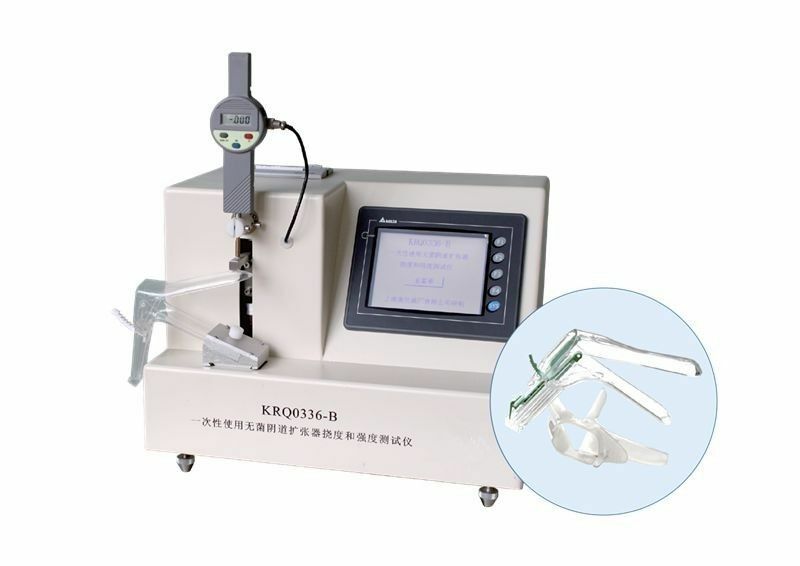 Operators can choose the needed option, set each parameter, and start the test on the touch screen, and the built - in printer can print the test report.